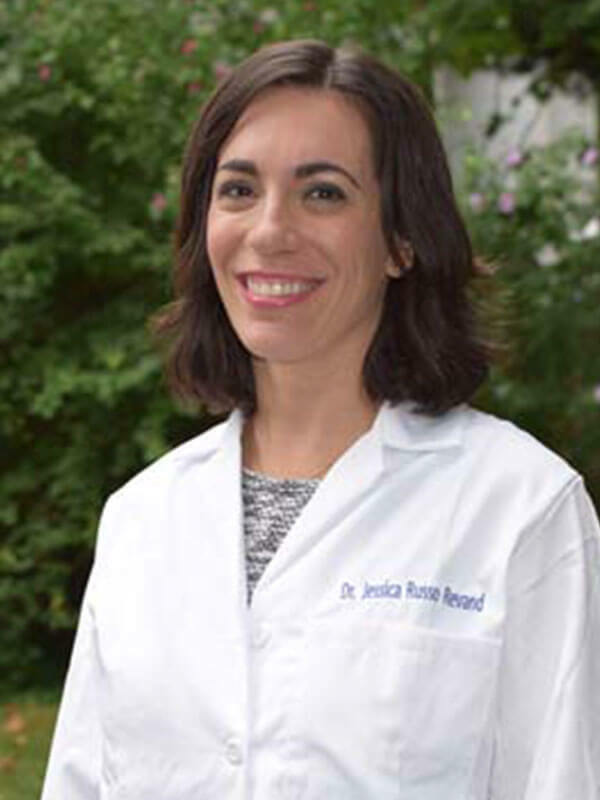 Dr. Russo grew up in Connecticut, where she spent her high school summer vacations working in her father’s endodontic practice. She received her BA from Dartmouth College in 1997, and her DMD from the University of Connecticut School of Dental Medicine in 2002. Following dental school, Dr. Russo moved to San Francisco to attend a two-year Advanced Education in General Dentistry program at the University of California at San Francisco, where she focused on complex treatment planning, hospital dentistry, and caring for patients with dental phobia. Dr. Russo then joined a general practice in San Francisco for two years before heading back to the East Coast to obtain her Certificate in Endodontics and Masters Degree in Oral Biology from the University of Maryland at Baltimore. Dr. Russo worked in an endodontic private practice in Alexandria, Virginia for four years, followed by two years overseas at the US Naval Hospital in Yokosuka, Japan as a Navy civilian. While in Japan, Dr. Russo lectured to both American and Japanese dentists on topics such as the treatment of dental trauma and the use of cone beam CT technology in endodontic treatment planning. Dr. Russo and her family are excited to be back in Virginia after their time overseas. They are the proud parents of twin daughters, and together they enjoy the outdoors and traveling.